probably the coolest technique i learned at anne brodersen's class was this one...a new way of stitching up photos. 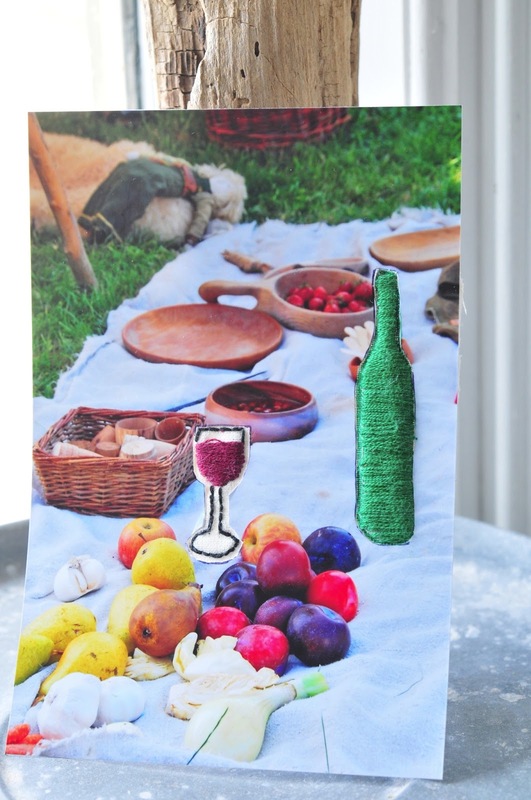 normally, my stitched up photos are done on the machine, but for this one, i made a couple of small embroideries - of a bottle and a glass of wine and i embedded them into a picnic photo that i took at the viking market in bork havn. i love the result. i'll be doing more of these. for sure. to start with, as invitations to a gathering we're going to have when my family is here next month. this was my first attempt and i didn't do a great job of cutting off all my pen marks. but next time, i'll do better. don't you think it would make the perfect party invitation? now if the weather just warms up for their visit! I love the 3d quality of the fruit at the front too... the fact that they are so in focus, in contrast to the rest of the picnic, makes them like a separate element. 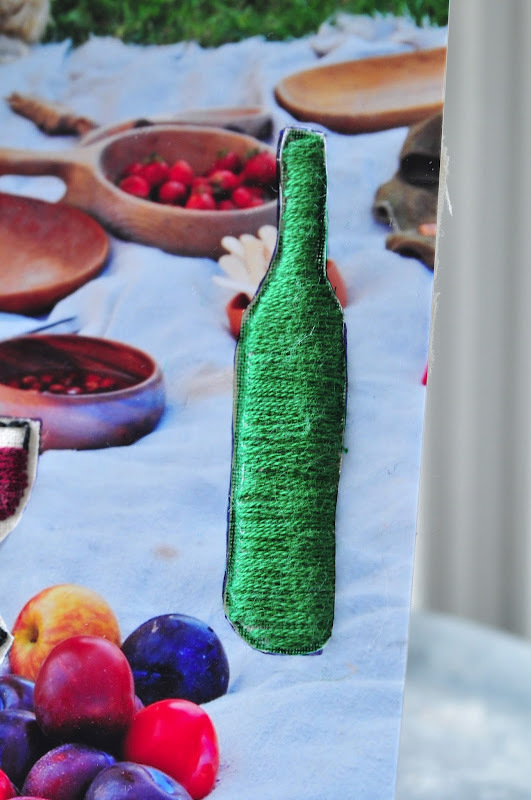 And then the stitched up wine the way it picks up the green of the clearly drunk ragdoll in the background... lovely!